Do Good. Two little words never sounded so simple. At this time of year, the time we actively (with maybe some societal pressure behind it) endeavor to be thankful, giving, and mindful to self and others, we try and do good in the world. Will you eat that cupcake? Doing good is not usually the easiest choice especially when doing nothing is an option. An individual in my life recently did good for me. I am not sure if they truly know how their actions have positively affected my life in a really big way. And I am grateful. Do good not because it’s the Holiday Season, but because it's altruistic, its real, and you can. 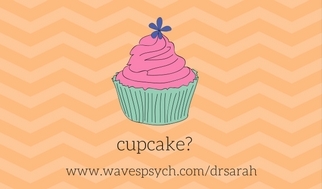 Do good for yourself: take that walk on the beach, eat the cupcake, get the message, go to your therapy session. Do good for others: mail the holiday cards, make the phone calls, visit, connect. Do good for your community; volunteer your time, give to that charity, help one being, listen. In doing good for yourself and others, you might notice something shift emotionally for you. Noticing your stress level decreases by doing self-care, noticing that it feels good to be with a friend and catch up, noticing that it feels good to do good. 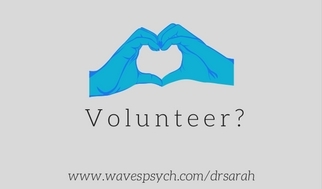 To set up an appointment for therapy with Dr. Sarah Jacobs-Paul and start working on your individual plan to do good, please click here.